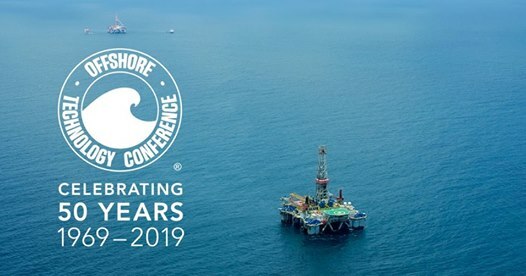 Martin Fluid Power Seals is proud to announce that we will be attending Offshore Technology Conference 2018 in Houston, Texas from April 30th to May 3rd. Look for us in booth 2678 in the NRG Center. OTC 2018 is the preeminent industry conference for energy professionals interested in meeting and exchanging ideas, advancing industry-relevant scientific knowledge, and networking with fellow oil and gas professionals. This year, the conference celebrates its 50th anniversary. Founded in 1969, the flagship OTC event will be held in its perennial home, NRG Park in Houston, Texas. As in past years, MFP Seals will be hosting a booth exhibit of our custom, cutting-edge O-ring technologies. From perfluoroelastomers to fluorocarbon, we have the fluid power technology to meet your oil and gas needs. MFP Seals' perfluoroelastomer (FFKM) O-rings are produced using materials that have been cross-linked using peroxide or our patented cross-linking system. We are excited to see the ground-breaking innovations and cutting-edge concept technologies of tomorrow, to meet industry leading clients and competitors. Our goal is to "Seal in Success™." At MFP Seals we strive to embody that mantra. To our team, it means the successful performance of our sealing products. Each and every day, MFP Seals helps thousands of customers around the world meet their demanding fluid power needs through a plethora of sealing product solutions. Let us help you grow your business to new heights with the hydraulic sealing products you need to get the job done. We hope you will stop by and visit our booth. This map will help you find us.